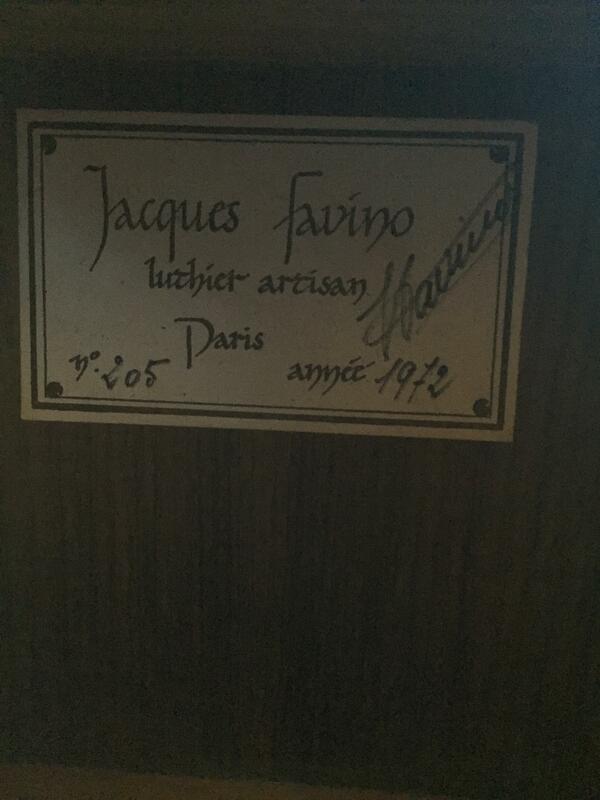 Excited to list a very special instrument: a 1972 Jacques Favino (Model 10), #205. This guitar doesn't need too much of an introduction. Jacques Favino is a builder with stradivarius-like stature. 1972 is squarely in his "golden era" - btwn 1965 and 1975. This guitar has a bunch of highly desirable features, including an exceptionally rare original cherry tint neck, 9th-fret dot, metal SB tuner buttons, and top shelf EIR (the orangey-colored rosewood is the best). 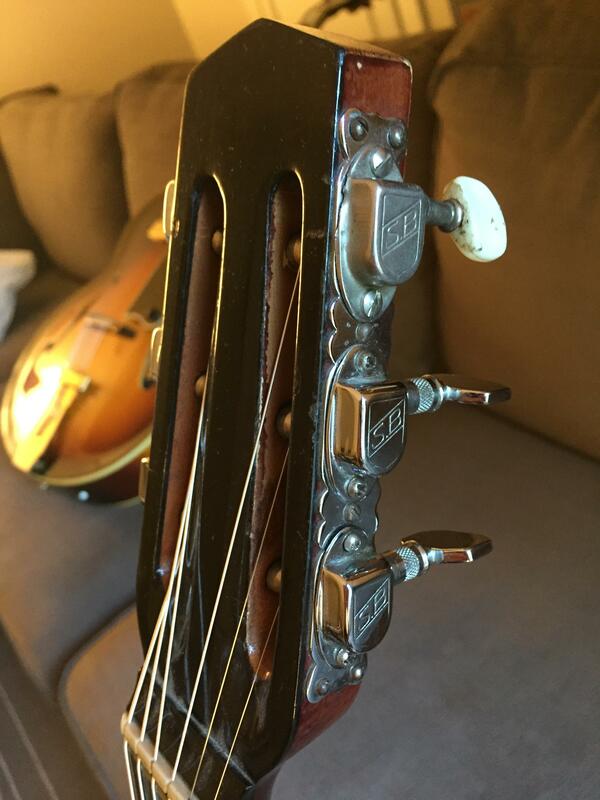 5 of 6 original tuners, and original tailpiece. (if you forward to 1:58, you can see Benji say "my god" after playing it). 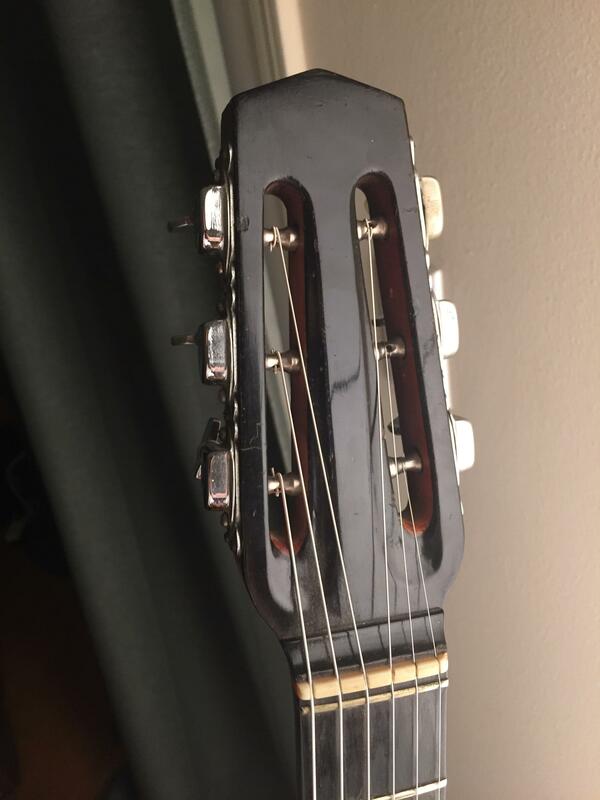 The instrument is also listed on Reverb, but would be happy to give a much better price to folks on the forum. Please message me for pricing or add'l info. Not in a particular rush to sell, but would love to suss out if there's a great future parent out there! Item location is Palo Alto, CA (correct me if I'm wrong). How in the world did you come up with that list of people playing Favino?! 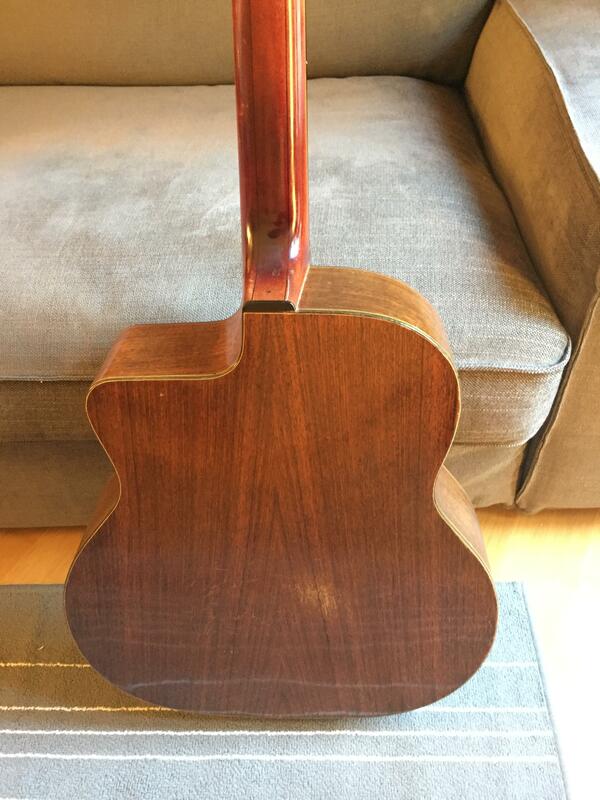 @"Wim Glenn" - Yep the guitar is here with me in Palo Alto. @Buco - thanks! Been fortunate to play with some great musicians at Djangofests, etc. Mozes actually asked about buying it a couple weeks back. Agree this is a particularly great Favino. Totally - it's super loud, very classic favino sound (naisal, gutsy). 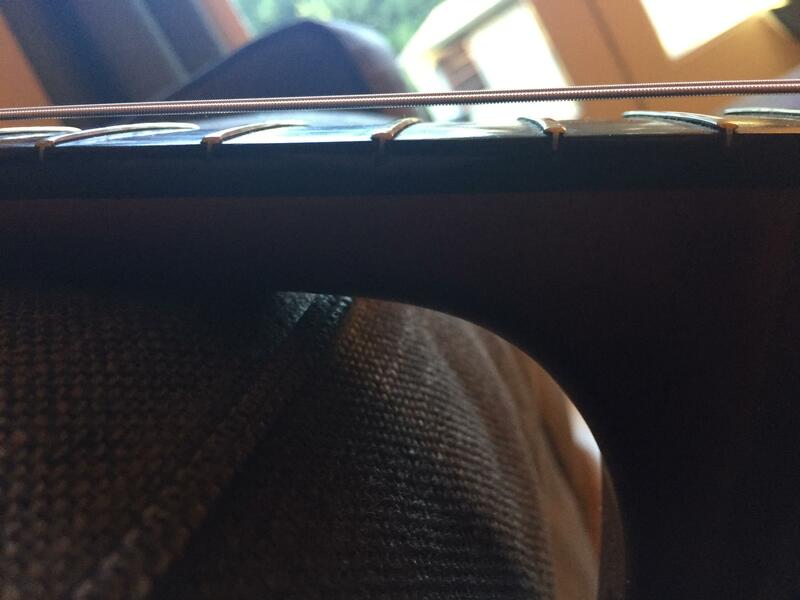 Bridge height (top to string) is ~2 CM at the center -- a bit less at both E strings. Thanks! It's "ON HOLD" on Reverb, so it was priced "just right", had he priced it lower he'd have lost money. I was surprised myself with the asking price but whatever the market will bear that's what it's worth. 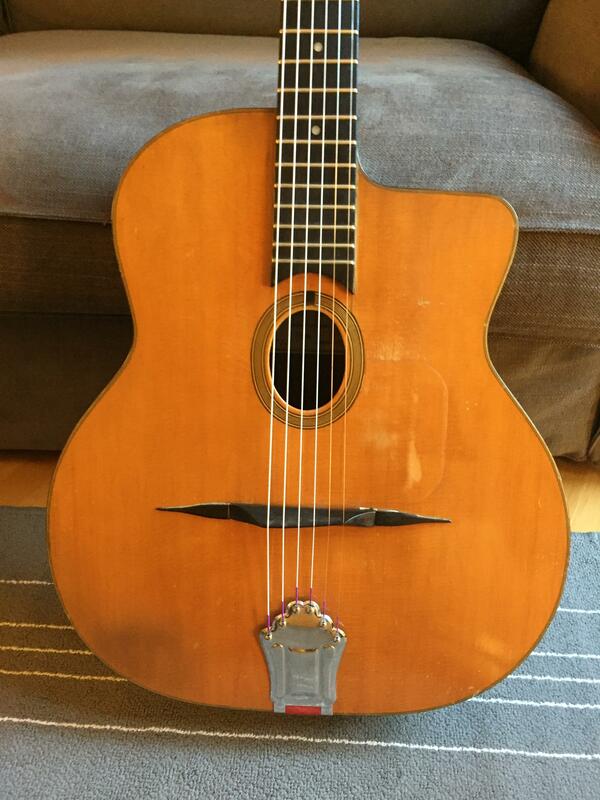 As I said - "happy to give a much better price to folks on the forum"
Either way - this is a rare and special guitar. And it'll find a home with someone great. Well I don't know how old you are, but that has just shown your immature mentality. As with most of the trolls on facebook and other so-called 'social media' (anti-social is more like it), unfortunately these days it has become the norm to accuse anyone who puts forward a view different to your own as "hating". All Ted said was the price was too high, and although I agree with him, I also agree you can ask whatever you want (nothing wrong with optimism in my book). I don't see why that should be regarded as "hating" anything. If you don't want anyone's opinion don't post on a public forum. Exactly as Chris says, and since Ted has probably owned more Favinos than anyone else in N America, as he says too. 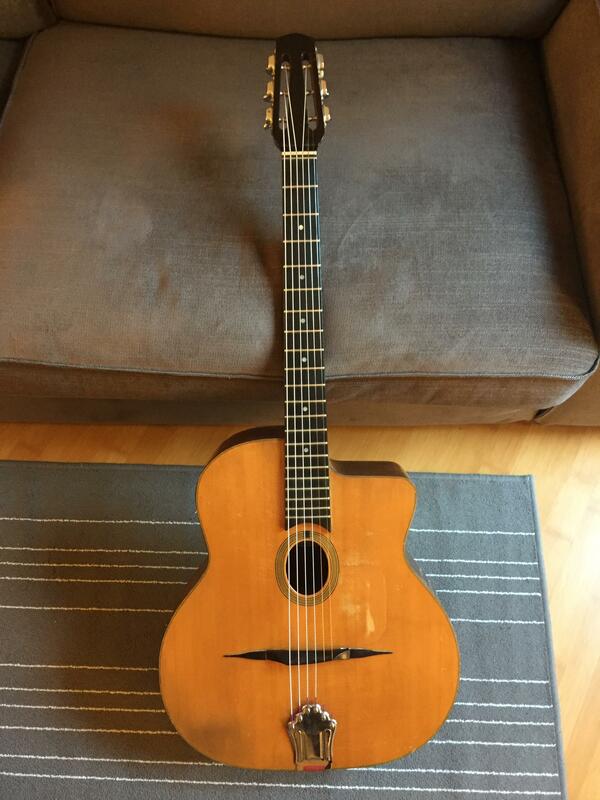 As a person who has owned a Favino (932) for 24 years and may one day want to sell it, I'd be very happy to see a guitar like mine sell for this kind of money. 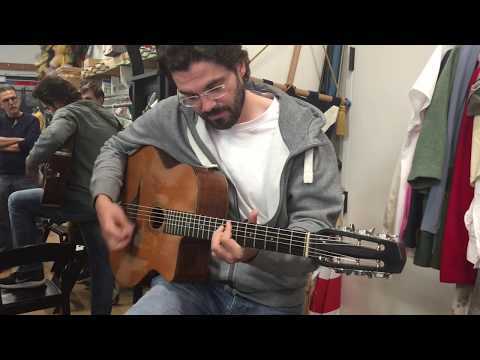 Favino guitars, father and son, always had a characteristic sound; most of them have that sound, and nearly all of them are great sounding, easy to play, versatile guitars. 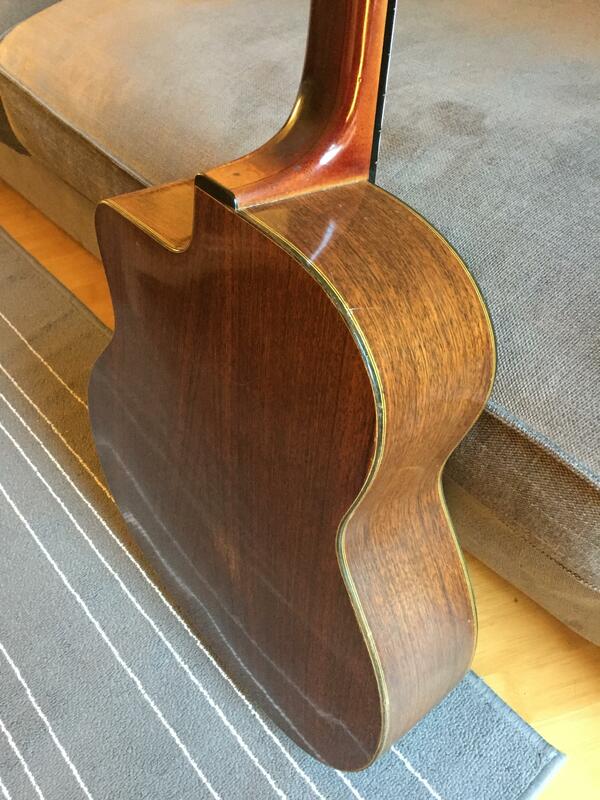 Fine luthier guitars, in other words. 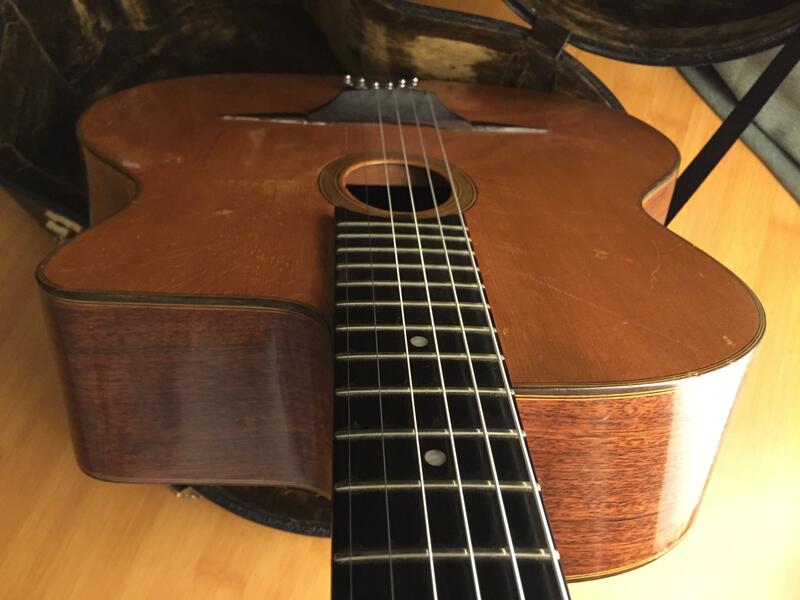 I love my guitar and I have never heard another Selmer-style guitar that I would trade mine for - OK, maybe one. But that kind of a price assumes very high collector demand and relative scarcity, and for better or worse, not that many collectors want them right now, and there are over 1000 made so far. They are not common but not exactly scarce either, and those collectors with money to burn want Selmers. You can find excellent Favinos for half this asking price and that's a still a lot of money for a player, even a professional. 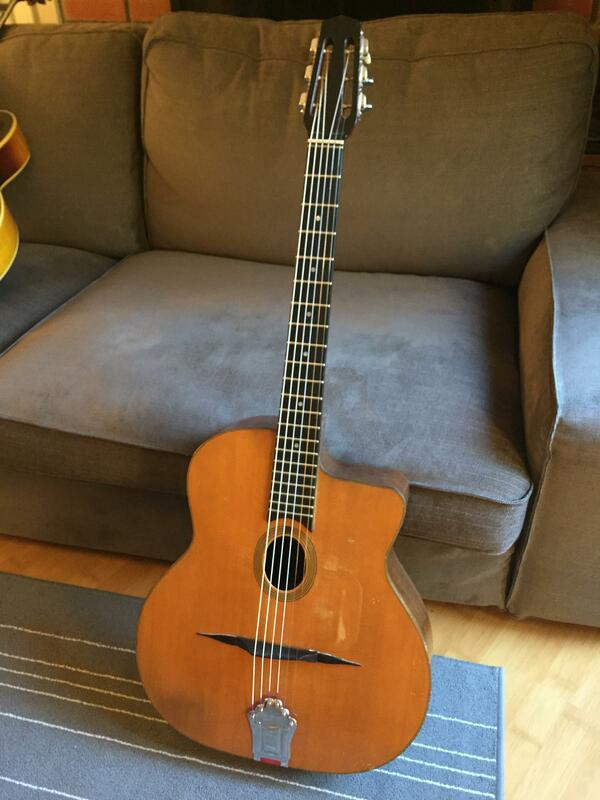 As fine a guitar as this one surely is, Favino guitars are not yet truly collectible. That's the reality of it, at least for now. Good luck.